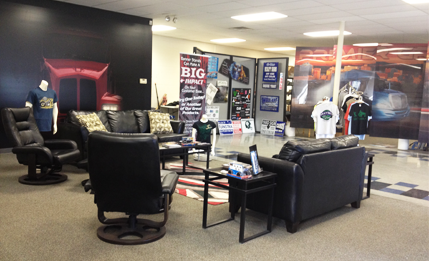 Premier Graphics is your source for large format graphics and displays. Servicing West Michigan and beyond. Michigan's Best Choice! It’s our passion, and we live it. We know that if we consistently deliver superior products and outstanding service, you’ll always come back for more. As one of the state's leading large format digital printing companies, we decided long ago to set the bar for quality and dedication in our industry. As a result, you can completely rely on our state-of-the-art print technology and 15,000-square-foot production facility, as well as our professional, detail-oriented project managers and award-winning design team. Everyone at Premier Graphics is a creative problem solver, and we’re all focused on your success. From banners to store-fronts, fleet graphics to structural signs, we’re committed to doing whatever it takes to make it perfect, every time.